My path to publication was neither quick, nor easy. I had studied the art and craft of writing for children since 1999, after having majored in English in college many years before. I was not a frequent submitter, for which I’m thankful. There’s much to learn in this business (and much to read), so until you’ve “got it,” there’s no point in wasting chances by sending out manuscripts that aren’t ready. Unless it’s for a critique – I am an advocate of critique groups and paid feedback and critiques. As I practiced my craft, I tended to write punny animal stories. Still, from time to time, I would write inspired stories that fell in my lap. My picture book manuscript, School Bus Buddies, now entitled Hedgehog Goes to Kindergarten, was one. The premise was based on school experiences my son had encountered (emotion), scenes I had witnessed (plot) and the nervous personality trait of my pet hedgehog, Apollo Nike [Spike] (character). When three important story elements intersect like this, my advice is: Write the story – you never know where it might lead, perhaps even to a sequel or series. I rotated School Bus Buddies through my critique group many times in between working on other projects. I ordered over 50 comp titles from the library (on riding the bus, dealing with fear, school days, hedgehogs, etc.) to make sure it was new and different. After reading, I revised accordingly. I ultimately did fifteen revisions before my critique groups mentioned sending it out. I had done some publisher research while writing it over the years, but I re-approached this necessary step again. After reading information and interviews and checking their current catalog, I knew which publisher to send it to – Scholastic. Four weeks later, I got a telephone call from Scholastic Editor Jenne Abramowitz and I had a sale. 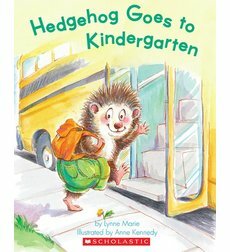 Hedgehog Goes to Kindergarten was born! I mention all this backstory for a few reasons. One, to show that I did not write this book to have a sequel or be a series. I did not even have a sequel in mind. I just wrote the best story I possibly could. 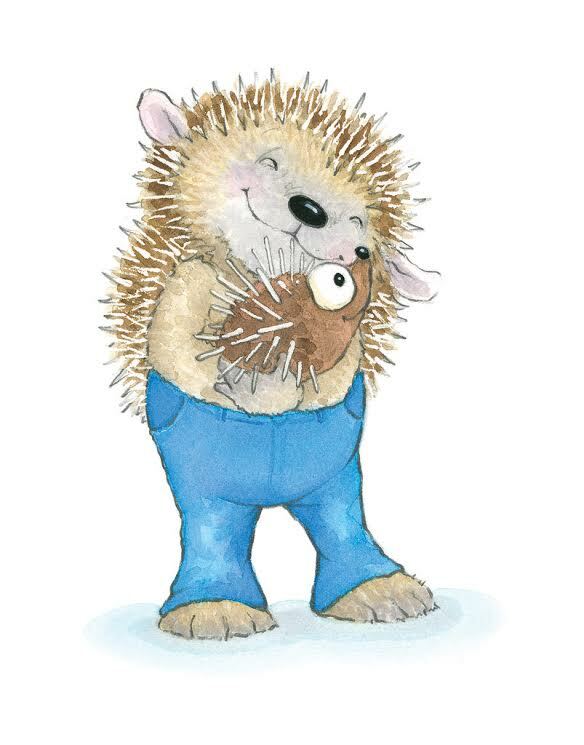 When Spike’s book did well, my editor asked if I had any other Hedgehog stories. I said “Certainly!” To be truthful, I did not. However, I had learned from Guideposts Editor/Author Mary Lou Carney at my first Highlights Foundation Workshop at Chautuaqua, to, when approached with a challenge, always say, “Certainly!” I was not afraid to say this, either. After fifteen thorough revisions, I had gotten to know my character pretty well, and I had pages of children’s magazine clips in my resume, so I was able to write to spec. Do not underestimate the experience of writing for magazines. By this time, I had a few, so my agent shot another off to my editor. 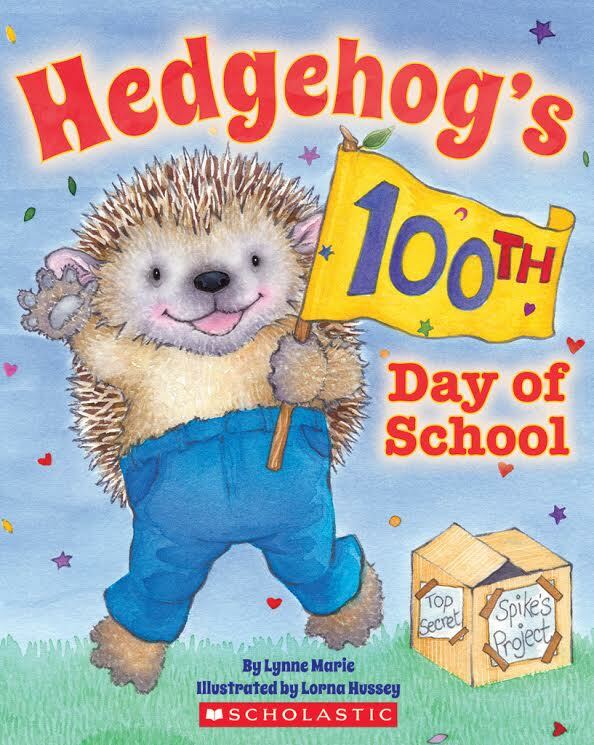 As long as Spike’s 100th Day Celebration is as big as we hope, he will star in yet another story, with his best friend Sheldon the Turtle from the 1st book. And at that time, I have another Spike story ready to submit. There are a few obvious and not-so-obvious take away values from my personal story. Read and Learn, Read and Read, Learn and Read. Repeat. Never stop. Research your titles and ideas to determine whether a particular idea is something marketable that you should pursue. Write out of your usual zone or comfort zone. Try different topics or styles. You may surprise yourself. This is a business. Writing what sells is a part of that. So write what you love AND what will sell. Research markets. Research markets. Research markets. Repeat. Do not underestimate the experience gained by writing for magazines. Join critique groups and groups like RYS and pay for valuable feedback. Think of it as investing in your talent and your work. When writing, take any notes you may have about where the story may lead, or a possible sequel. Weave potential for a possible sequel subtly into your story. Sometimes, this is just by tapping into a necessary hole, or creating a character that readers will care about and want to see again. When you start getting comments like “send it out,” send it out! Write anything and everything that YOU can. Sometimes the stories that you least expect will get the SEQUELS. Wishing you all the best in your writing journeys. I hope my path and my sequels will inspire you! 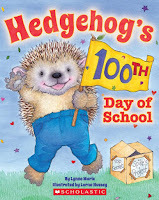 Lynne Marie is the author of Hedgehog Goes to Kindergarten - illustrated by Anne Kennedy (Scholastic, 2011) and Hedgehog's 100th Day of School – illustrated by Lorna Hussey (Scholastic, January 2017). Her stories, poems, and folk tales have appeared in many magazine markets, including Family Fun, Highlights, High Five, Spider, Baby Bug and more. She is an on-staff writer for Jon and Laura Bard's Children's Book Insider, a 2017 Rate Your Story Judge, a 2016 Cybils Panelist for the picture book/board book category, a mentor for picture book writers and a book reviewer. She is a former New Yorker who now lives a simpler life on a lake in South Florida with her family and several resident water birds. You can learn more about her at www.LiterallyLynneMarie.com.